If you or a loved one has obsessive-compulsive disorder, you know that OCD typically attacks what matters the most to you – your values. Is a loving relationship the most important thing in your life? OCD will make you question it. Working toward the career of your dreams? OCD might tell you it’s not for you or there’s no way you’ll be successful. Wouldn’t hurt a fly? OCD will try to convince you you’re a danger to others. In my son Dan’s case, OCD stole his joy, his art, and everything else he held dear. And just when you think you’ve beaten OCD in one area, it shows up in another. I’ve often heard people compare obsessive-compulsive disorder to that whack-a-mole game found in arcades. You whack one mole only to be have another one pop right up. It never ends. While most people with OCD might be nodding their heads now in understanding, not everyone’s OCD works this way. Those who deal with “just right OCD” experience thoughts and feelings that something is “just not right,” or is incomplete. While on the surface it might look similar to other forms of OCD, its symptoms are more likely to be driven by a vague discomfort or tension rather than the attack on values and ensuing anxiety as described above. 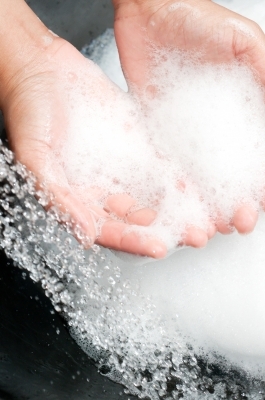 Let’s take the classic example of someone with OCD who washes his or her hands compulsively. In many cases, this compulsion stems from fear of contamination. Perhaps the person with OCD thinks he will spread germs to others or make himself sick if he doesn’t wash, wash, wash. This fear of illness or of causing harm to loved ones is the impetus for the hand-washing compulsion. It is interesting to note that those who deal with “just right OCD” are more likely than others with OCD to have a co-morbid condition such as tic disorder. In fact, it can often be difficult to differentiate between “just right OCD” and tics, so a good therapist is a must in getting a correct diagnosis and treatment. Also, not surprisingly, perfectionism and general inflexibility are also often associated with this type of OCD. For more info about “just right OCD” I recommend checking out this IOCDF fact sheet. So how is “just right OCD” treated? You guessed it. The same way as all types of OCD – with exposure and response prevention (ERP) therapy. While there are many subtypes of OCD, and the disorder can morph from one type to another (remember our whack-a-mole analogy), the bottom line is OCD is OCD. All kinds of OCD are fueled by doubt and uncertainty, and all OCD sufferers get caught up in the vicious cycle of obsessions and compulsions. But the good news is that, with the help of a good OCD therapist, all types of OCD are also treatable.